With 29 years of professional experience, Ross Davis has spent the last 16 working as a manufacturing engineer for Markem-Imaje in Temple, New Hampshire. On a day-to-day basis, he designs fixtures, tools and processes in the multidisciplinary areas of electrical, mechanical and electronic. 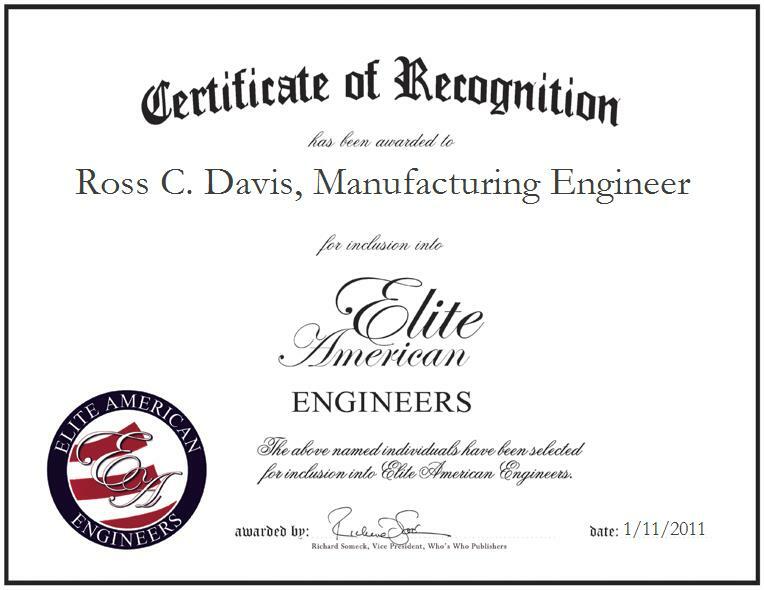 In addition to overseeing all manufacturing processes and procedures, Mr. Davis utilizes his education and experience to make products more robust and less expensive. Further, he steps outside of the box by managing the maintenance of printing equipment, and developing efficient ways to build and test assemblies. Having earned a Bachelor of Science in industrial science, with a concentration in electronics, Mr. Davis intends to develop world-class quality products and processes with Dover Corporation in the future.